On August 14th 2018, the new Brazilian Data Protection Law was approved, and it seems very much inspired by the General Data Protection Regulation (GDPR). In this and in the following posts, I intend to analyse their similarities and differences - specially the practical consequences of their differences. For those unfamiliar with the topic, the GDPR is the European Union's (EU) new legal framework for the protection of personal data. 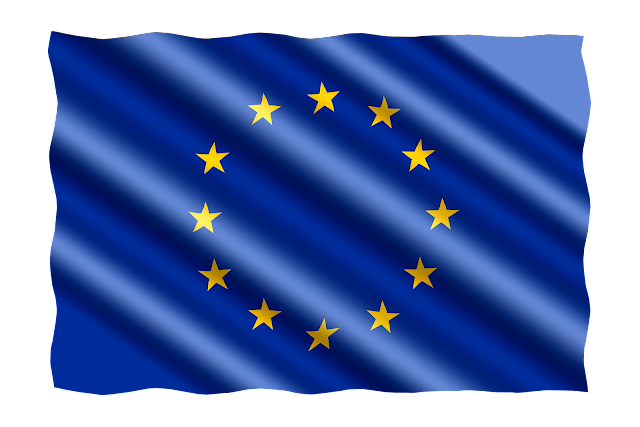 The GDPR brought significant changes to the old regime (which was regulated by the Directive 95/46/EC) and companies worldwide had to invest time and money to adapt to the new regime. In this blog you will find other posts about the GDPR. My PhD is in the field of ​​data privacy, and as my legal training was in Brazil, I found it important to compare both regimes. In this post I would like to focus on the issue of informed consent, which is a central element for both legislations as hypothesis of lawful collection and processing of personal data. In Brazil, informed consent is the first possibility (out of ten) mentioned in Article 7 for the processing of personal data and in the EU it is also the first possibility (out of six) mentioned in Article 6, which deals with the hypotheses of lawful processing of personal data. Article 8. The consent foreseen in the item I of the Art. 7 of this Law must be provided in writing or by other means that demonstrate the expression of will of the holder. Even in writing, a pre-filled field on a form is able to demonstrate the individual's manifestation of will, since by clicking "ok" he is consenting. Therefore, the Brazilian law makes no specific mention of an active manifestation of the data subject, and to my knowledge there are no additional documents or advisory boards that have commented on the opt-in/opt-out issue. My main question here is: in practice, is opt-out valid in Brazil? Many surveys today show the importance of defaults and how sticky they are (in the sense that the average user rarely changes the default settings in a device/application). Therefore, a default that is not privacy-protective, even if it has the opt-out function (i.e. the user is free to unclick the field that is already filled), will statistically tend to remain a non-protective configuration, as the user will probably not change it. 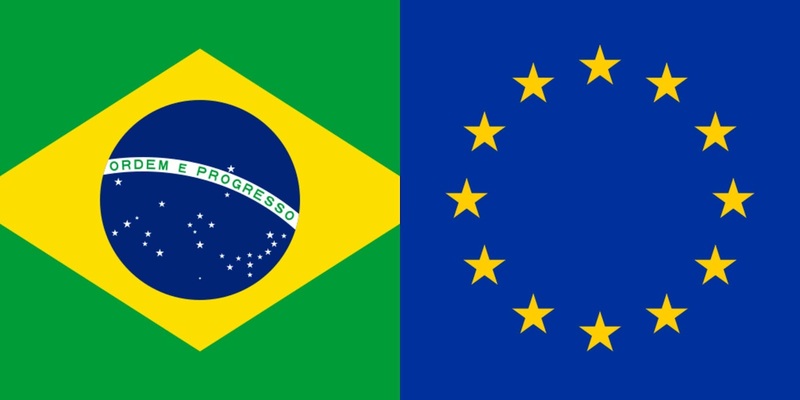 A discussion that may seem merely grammatical in the beginning, comparing the definitions of consent in both legislations, ends up bringing a much larger dimension that can directly affect the level of data protection received by data subjects in Brazil vs. in the EU. These and other points of doubt in the new Brazilian law should be discussed as soon as possible so that the Brazilian data subject can benefit from a secure and privacy-protective online environment. If you have any contribution to the topic, feel free to comment below. Para quem está acompanhando, no dia 14 de agosto de 2018 foi sancionada no Brasil a Lei nº 13.709, que dispõe sobre a proteção de dados pessoais (e altera o marco civil da internet). Como a lei brasileira parece ter sido bastante inspirada na General Data Protection Regulation (GDPR), como pretendo mostrar neste post e em posts seguintes comparando ambos os sistemas, é interessante analisar suas semelhanças e diferenças - e quais as consequências práticas das diferenças. Para quem não está familiarizado com o tema, GDPR é o novo diploma legal da União Europeia (UE) para a proteção de dados pessoais. A GDPR trouxe mudanças significativas ao antigo regime (que era regido pela Directive 95/46/EC) e empresas no mundo inteiro tiveram que investir tempo e dinheiro para se adaptar ao novo regime. Neste meu blog (em inglês) você encontrará outros posts sobre a GDPR. Meu doutorado é na área de data privacy e como minha formação jurídica foi no Brasil, achei importante comparar os regimes. Nesse post eu gostaria de focar na questão do consentimento informado, que é um elemento central para ambas as legislações como hipóteeses de autorização da coleta e do processamento de dados pessoais. No Brasil ele é a primeira possibilidade (de dez) mencionadas no Artigo 7 para o tratamento de dados pessoais e na UE ele é também a primeira possibilidade (de seis) mencionadas no Artigo 6, que trata das hipóteses de legalidade de processamento de dados. De qualquer forma, mesmo por escrito, um campo pré-preenchdo em um formulário é capaz de demonstrar a manifestação de vontade do indivíduo, já que ao clicar em "ok" ele está consentindo. Portanto, a lei brasileira não faz nenhuma menção específica ao elemento de manifestação ativa do titular da informação, e do meu conhecimento não há documentos adicionais ou advisory boards que tenham comentado sobre a questão do opt-in / opt-out. Minha questão principal aqui é: na prática, no Brasil opt out está válido então? Muitas pesquisas hoje mostram a importância dos defaults e como eles são sticky (no sentido de que o usuário médio raramente muda o default nas configurações de uma aplicaçãp / aparelho). Portanto, um default que não seja protetivo da privacidade, mesmo que tenha a função de opt out (ou seja, o usuário é livre para desclicar o campo que já está preenchido), estatisticamente tenderá a permanecer uma configuração de baixa proteção, já que o usuário provavelmente não irá mudar. Uma discussão que pode parecer meramente gramatical no início, com a comparação das definições de consentmento em ambas as legislações, acaba por trazer uma dimensão muito maior que pode afetar diretamente o nível de proteção recebido pelos usuários no Brasil vs na UE. Esses e outros pontos geradores de dúvida na nova lei brasileira devem ser debatidos o quanto antes para que o usuário possa se beneficiar de um ambiente online seguro e que garanta a proteção de seus dados pessoais. Se você tem alguma contribuição sobre o tema, não deixe de comentar abaixo. The GDPR (General Data Protection Regulation) will apply from May 2018 and it will bring relevant changes to the data protection legal environment - not only in the European Union (EU), but the in the whole world. But what does it have to do with small businesses? Is the GDPR relevant to anyone else besides big data-collectors such as Facebook, Google etc? And the answer is yes, it is very relevant to small businesses as well, and small business owners should be familiarized with it as soon as possible (ASAP), as we are only 5 months away from the applicability date. In the next paragraphs I will describe the 5 main reasons for that. "the processing of personal data wholly or partly by automated means and to the processing other than by automated means of personal data which form part of a filing system or are intended to form part of a filing system"
There is no distinction between small, medium and large businesses, as long as data collection/processing happens. The same article 2 establishes exceptional cases where the GDPR will not be applicable, but in most of commercial cases of data processing, it will be applicable. The GDPR will be applied not only to businesses located in the EU, but also in any other part of the world, provided that they collect or process data from people from the EU. Some business owners might think that because they are small and are not based within the EU limits, the GDPR is not applicable to them. This is not true. The specifications of the territorial scope are in article 3 of the GDPR, and all small business owners should be aware of them, as they are very broad. The GDPR, when compared to the previous data protection regime in the EU (Directive 95/46/EC), adds news rules and requirements to data collection and processing, which the small business owners should review together with their lawyer. Thus even if the business owner had had contact before with the Directive, the GDPR is different and needs extra attention. For example: informed consent. We are now used to tick boxes around the internet, accepting all and any kinds of data collection requested. Consent has gained a new dimension in the GDPR, as we can see, for example, in article 7, which sets the conditions for consent. Article 7.1 stipulates that: "Where processing is based on consent, the controller shall be able to demonstrate that the data subject has consented to processing of his or her personal data." For some small businesses, this type of "demonstration" might be easy to implement, for others not. 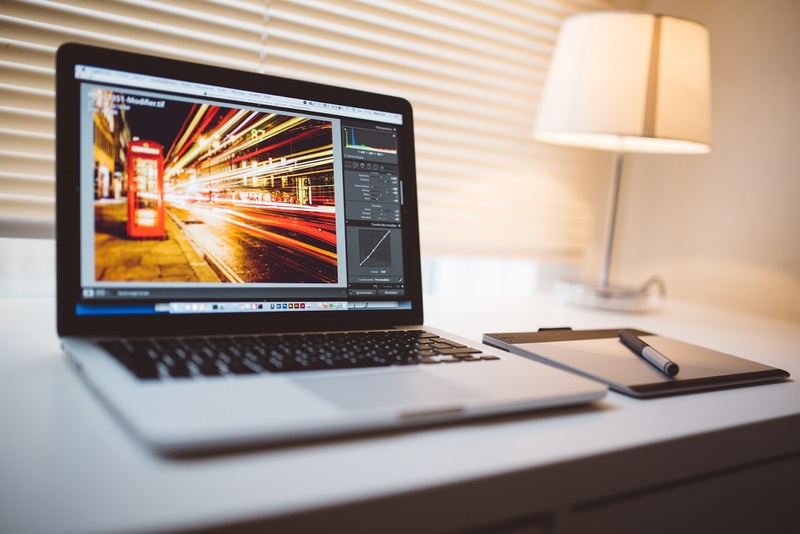 There are many other examples of new requirements imposed by the GDPR, therefore the sooner the small business owner gets ready to it - the better. Fines are high. Article 83, for example, establishes that "non-compliance with an order by the supervisory authority as referred to in Article 58(2) shall, in accordance with paragraph 2 of this Article, be subject to administrative fines up to 20 000 000 EUR, or in the case of an undertaking, up to 4 % of the total worldwide annual turnover of the preceding financial year, whichever is higher." There a few types of fines foreseen by the GDPR, and small business certainly do not want to incur such costs. Therefore it is better to be prepared and aware well in advance. The GDPR is a comprehensive regime about data protection and brings the focus on this subject to a whole new level. Companies are being collectively pushed to offer higher levels of data protection and this upgraded level will soon become the default - the minimum required by individuals using those products and services. Small businesses that want to avoid reputational losses - in addition to the financial losses that will result from non-compliance - should ASAP get ready to the GDPR. Please find below an invitation by Dr. Zinaida Benenson, from the University of Erlangen-Nuremberg, for you to participate in her browser fingerprinting study. Participation takes less than 1 minute per week and no account is needed to sign up. If you would like to receive the next posts by email, don't forget to subscribe. Your support would help all research groups over the world that do research on browser fingerprinting, as we are going to release an open data set of fingerprints at the end of 2016. Till now, everybody has to compile their own data set, and this is extremely time-consuming. Our data set will be unique, because through our novel study design we have an unprecedented level of ground truth: We can assign each fingerprint to a particular (of course, anonymized) participant. In all other projects, recurring participants are recognized through cookies, which is very error-prone, as people delete their cookies"
Last week, an article written by Kashmir Hill at Fusion.net, reported on a psychiatrist who was made aware that her patients were being recommended as potential friends to one another over Facebook. While the psychiatrist herself reported only occasional use of the social messaging platform and never shared her e-mail or phonebook contacts, the recommendation engine was able to find common factors between her patients, recommending them to one another as “people you may know”. Facebook states that its suggestion engine works by analysing “mutual friends, work and education information, networks you’re part of, contacts you’ve imported and many other factors”. The vagueness of this statement leads to the question, what are these other factors? Could it be that her patients have “checked-in” to similar places in and around the treatment location? Could these common locations be factors that Facebook analyse to generate friend suggestions? If the patients are sharing their email and phonebook contacts, could Facebook be linking them through their common contact with the psychiatrist? If so, could this be actively exploited to identify patient details? This example illustrates the way technology is bridging the gap between the professional space and the personal. It also acts as a warning sign for the growing use of technologies that were never designed, or intended for medical use, which are now fast becoming everyday tools within the industry. WhatsApp is a great example of this. It’s inexpensive, simple to implement, has almost no integration with hospital or clinical systems, but enables real time, media rich communication between medical staff, and even patients. The rapid adoption of these technologies into and on the boundaries of the medical industry could have huge benefits, but unintended consequences may result in significant personal and societal costs. How these technological changes are managed to allow society to benefit while maintaining fundamental values that protect the individuals right to privacy is at the forefront of the Privacy & Us project. These types of questions will be the focus of our multidisciplinary research over the next three years, so watch this space.